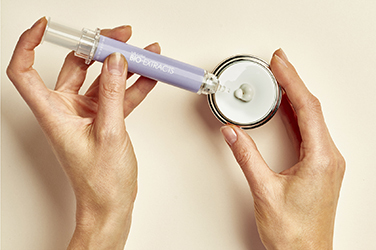 Youth Capsule® technology delivers precious Rosmarinic Acid, one of nature’s most powerful anti-oxidants, to help slow down natural ageing by helping protect cells against environmental aggressors. Packed with flavonoids it fights oxidative stress, pigmentation and signs of ageing. One of nature’s most powerful anti-oxidants, Lemon Balm dates back to early Roman recipes. Due to its powerful anti-inflammatory properties, Romans used it to treat bee and even scorpion stings. Today we know that Rosmarinic Acid eliminates damaging free radicals 3.24 times more efficiently than Vitamin C and 1.6 times better than Vitamin E*. This rare, magnificent ingredient is difficult to obtain but it is the best active for an anti-oxidant rich product as it has anti-mutagenic properties, so it acts as a shield for DNA against solar UV and other ionising radiations. Barley medicinal use dates back to 7000 BC. The unique combination of zinc and selenium found in Barley holds countless benefit for the skin. Zinc speeds up the body’s healing process while selenium preserves the skin’s elasticity and protects skin from free radical damage. 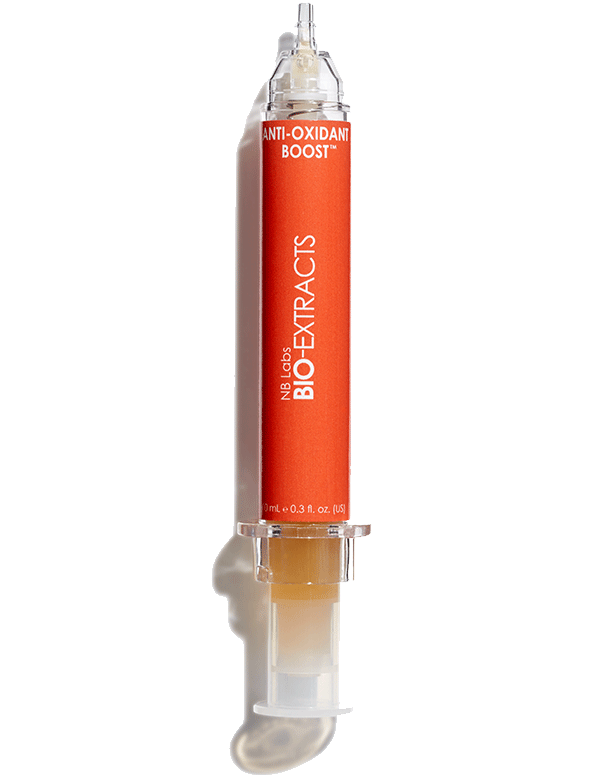 Barley bio-extract has the ability to enhance skin’s elasticity giving your complexion more supple and toned appearance. A vital mineral for everyday skin health. It plays a crucial role in collagen production. Manganese also acts as an anti-oxidant in all skin cells, helping to neutralise free radicals and reducing skin damage caused by environment, pollution or stress. Flavonoids strengthen blood vessels and are therefore an essential component of effective skincare. 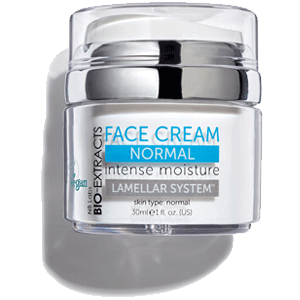 They assist in stabilising elastin and collagen fibres, the two proteins that form part of the skin’s supporting network. Traditionally used by ancient healers, this is one of the strongest anti-oxidants that helps protect cells from premature ageing caused by free radical damage. Selenium neutralises free radicals and other skin-damaging compounds before they can lead to wrinkles. Its action is similar to vitamin E and works to safeguard the protective coating around cells. Zinc has powerful healing properties and a history of being used to treat burns and scars. We used it due to its ability to strengthen the immune system of the skin. Zinc promotes skin tissue rejuvenation. It helps to prevent breakouts by regulating the activity of the oil glands. This universal ingredient is an anti-oxidant which promotes youthful looking skin by helping to reduce the impact of free radicals on the skin and promoting collagen production. 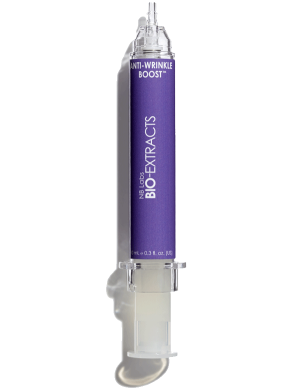 The highly potent Youth Capsule® is at the heart of every BIO-EXTRACTS ultra-strength Boost. 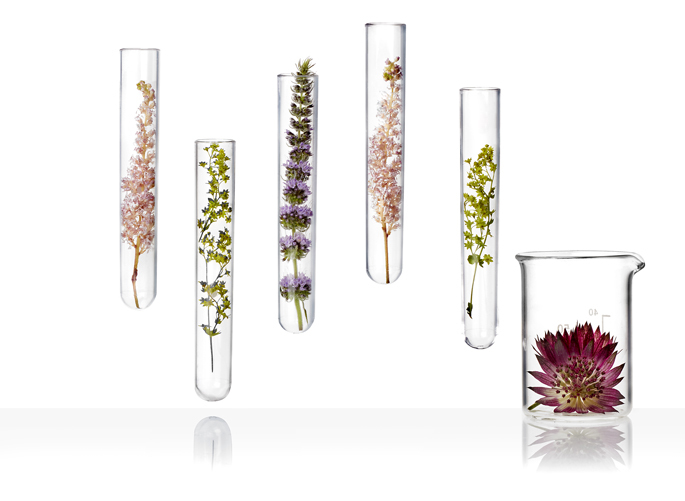 This technology delivers key active plant molecules right to the areas of your skin where they are most needed. 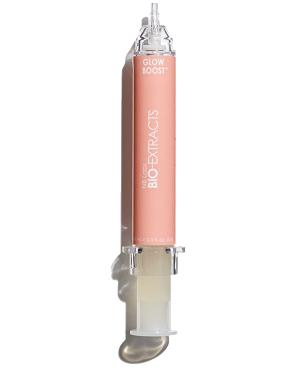 Youth Capsule® holds within it the power to transform the skin’s appearance, nourishing it with the most precious plant bio-extracts. We formulated the Youth Capsule® as a transport system helping other ingredients penetrate deeper into your skin to hydrate and nourish from within. 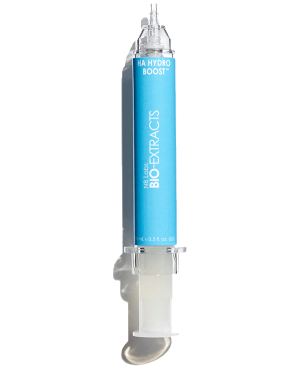 For best results, mix 1 to 2 shots of the Boost with your chosen BIO-EXTRACTS Lamellar System Face Moisturiser. Alternatively, apply the serum directly to the areas of concern and massage gently into the skin. * Sánchez-Campillo, M., Gabaldon, J., Castillo, J., Benavente-García, O., Del Baño, M., Alcaraz, M., Vicente, V., Alvarez, N. and Lozano, J. (2008). Rosmarinic acid, a photo- protective agent against UV and other ionizing radiations. Food and Chemical Toxicology, 47(2), pp.386-392. Press on the moisturiser lid to pump up the cream. 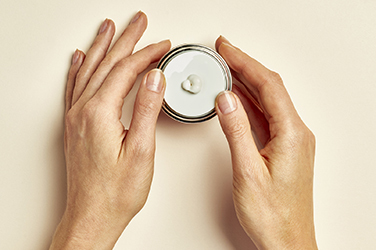 Supercharge your moisturiser by adding a shot of the Boost to the cream. 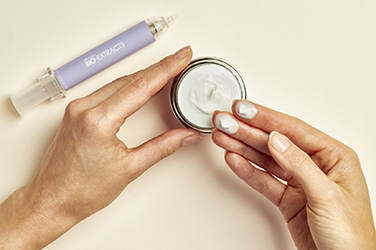 Mix on top of the moisturiser jar and massage into the skin using gentle circular motion. Standard delivery parcels are delivered by Royal Mail 1st Class in the UK. This service normally takes between 1-2 working days to arrive once dispatched. We always aim to despatch within 1 working day. For UK next day delivery and UK Saturday delivery we use Royal Mail Special Delivery service. Orders with delivery outside of the UK are sent with a courier company. If you provide your mobile phone number during checkout at BIO-EXTRACTS ‘s website you will receive a text message alerting you as to when delivery will take place. Please contact us on +44 (0) 203 325 7458 if you have any problems arranging re- delivery. You can track your order using the tracking number provided in your dispatch confirmation from BIO-EXTRACTS. Free delivery for UK Mainland orders over £15.